I have heard a lot of arguments about this with some voices saying "it must be uk type approved" but I think in the end it is ok and actually you are legally ok using them. The issue with 446 is that being licence free Ofcom does not give a damn provided it does not interfere with it's paying customers. Plus of course a large chunk of the 446 users are in no position to complain given the equipment & power they use..But then two wrongs do not make a right..However, I am very reliably informed that it is possible to work Europe wide during lift conditions on 446 using fairly low power on SSB & to also work very reasonable distances on SSB at any time using no more than 50 watts. 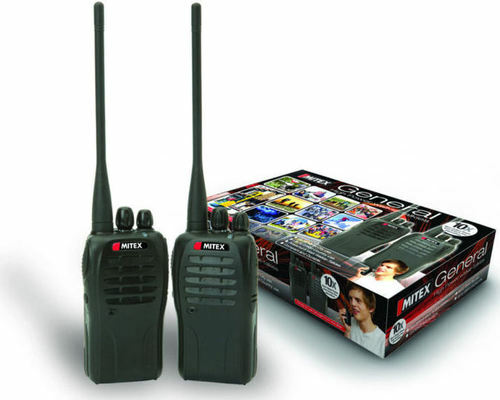 I must say this is a very informative post and very detailed with the images of each MITEX radio and also very handy to have the frequency line up for each one. Good advice in this thread... have to say I saw some in maplins on offer the other week and was tempted... they were still expensive compared to the ebay equivalent... they look smaller in the flesh then I thought they would be from pictures I had seen on the net. Does anybody have a full list of tones for the Site & HD radios? They seem to be missing in the list above. My local Sainsbury's probably use these, they use channels 9, 10 and 11 going by this list. My local Wilkinsons use 13, 14 and 15. In Runcorn the Wilkinsons there uses channel 1, which I've heard a few other people use. AndrewIrvine wrote: My local Sainsbury's probably use these, they use channels 9, 10 and 11 going by this list. My local Wilkinsons use 13, 14 and 15. In Runcorn the Wilkinsons there uses channel 1, which I've heard a few other people use.